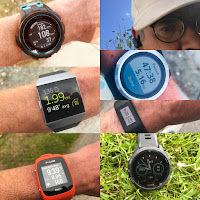 We are attending Outdoor Retailer in Denver, Colorado and in advance of our full previews we asked many of the brands we visited to present and highlight their key 2019 running introductions in short You Tube videos. Apologies for sometimes difficult to hear audto. 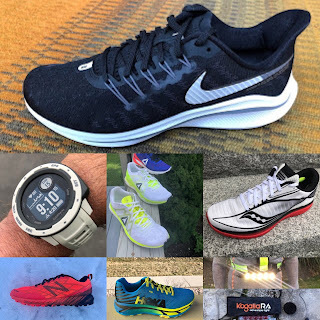 Full written 2019 previews with all the details on these and many other shoes and with many pictures to follow. Does the new Kiger still have 4mm of drop? Any update for the Wildhorse? It seems that Saucony is reading online reviews. I've read many complaining about Pro-Lock system on Kinvara line. Have I heard correctly that launch is in november this year? shall we expect anything new from the s-lab series of SALOMON? any new proposals in 2019? For the spring 2019 releases Salomon did not present any S/Lab updates to us. I do see an new version of the S/Lab XA Amphib in the catalog called out as lighter. Love the videos. Hard to hear on Altra interview but good tips on the run. Kept the arms back today. Helped. Any word on a new Saucony Zealot? I see a lot of retailers are discounting the Zealot ISO 3. I wonder if Saucony has a replacement, for if they're being discontinued. Hi Paul, Thanks! Will and did work on audio. The Altra booth was super noisy and busy and Golden talks fairly softly, Next show I will have a separate mic. Every time I see the new Altra I encourage Golden to give some form and other tips. He is a master and loves to teach and share. Vast experience over a 1000 form classes taught and then he applies to shoe design. Hi Jeremy, The Zealot ISO was not discussed and I did not get a full catalog. Will find out. Hi Jeremy, Thanks for providing this (sad) info. Wonder how the new Ravenna 10's will be. The 9's have been a fantastic shoe with great fit and invisible stability support. When will pictures of the Launch 6 be published?